You can add Quikkly to your app in less than an hour. 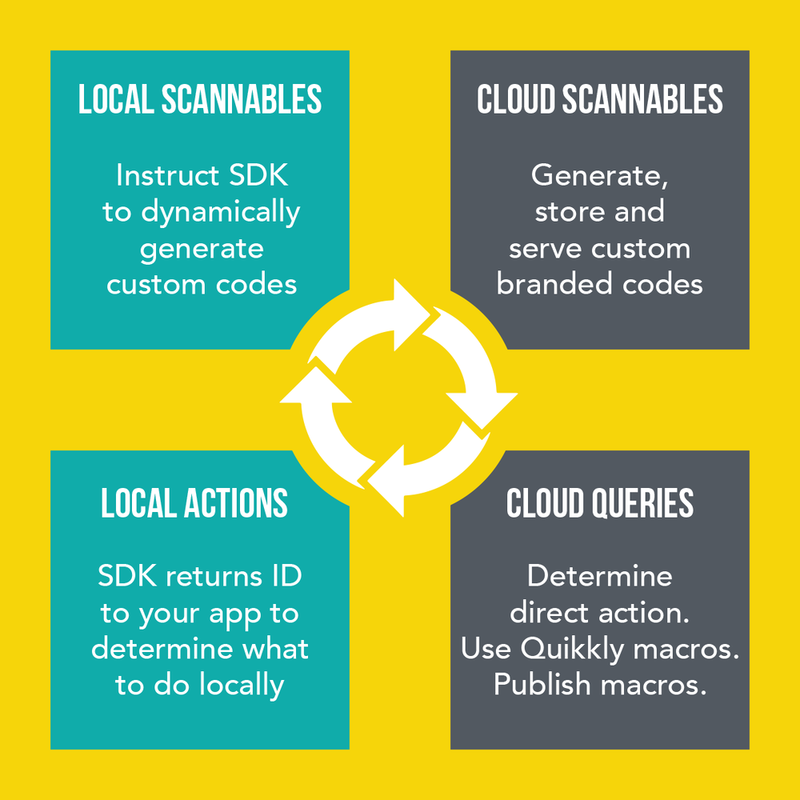 Our scanner SDK is self contained and you can customise it if you want to. You can use our web portal to create your scannable codes, or you can generate them dynamically in your app. You can create codes that work for your brand. Quikkly is a flexible solution designed to work for you. Access the Developer Portal to download the Quikkly SDK for iOS and Android. Then integrate it into your app to enable in-app code generation and scanning. 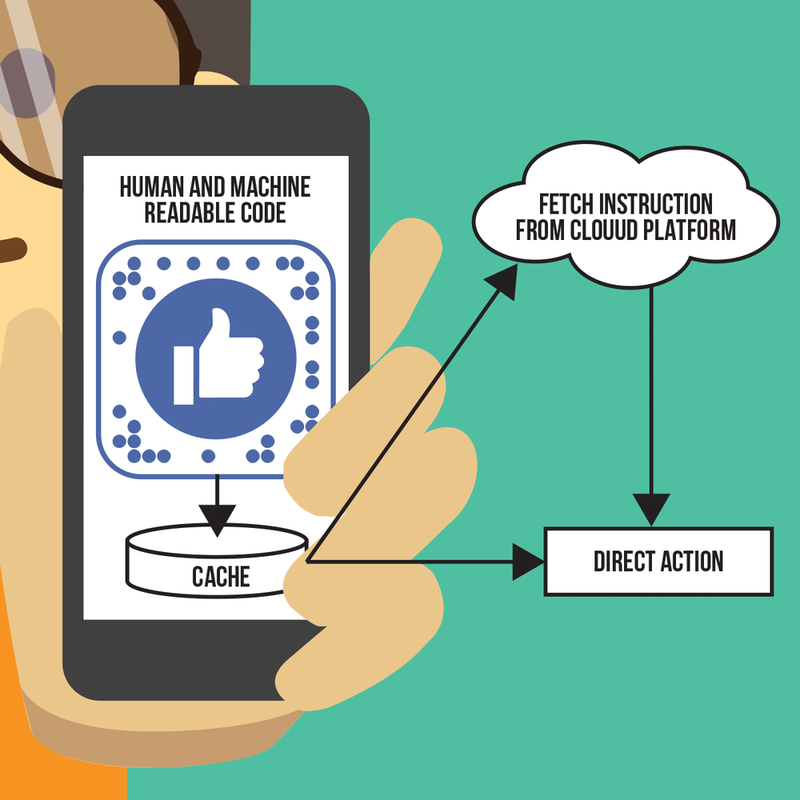 Quikkly's platform APIs enable you to choose a ready made action, create, update and remove codes. Whether you prefer to use our cloud, or generate and manage codes locally, our ready-made SDK and platform mean you can get going in hours. Quikkly offers a near-infinite number of addressable bits so you don't need to worry about running out of codes. Quikkly's patented solution (April 2014) covers computer identifiable, scannable codes with human readable and machine readable elements. If you are thinking about implementing scannables, then we can help you. We have years of experience. Quikkly offer a range of ready made actions that you can use. Buy, Follow, Watch, Listen and many more. Actions can be chained together or you can have a menu of Actions. If you don't see what you need, get in touch and we can create something for you. Or you can create a custom action yourself. You can also create rules around actions. Different things can happen from the same Quikkly code depending on location, time, or user profile. Quikkly offers a range of code templates so you can make your branded codes look awesome and get going right away. For more customised codes, get in touch and we can work with you on something special. Illustrative examples are shown below. If you would like to test Quikkly codes, please download our test sheet.